There are a lot of people who choose cars from the Lexus line offered by Toyota as their vehicles of choice. Lexus is known for its excellence in producing cars that you would love to use for a few years or so. If you are having issues , you need Lexus car key replacement. . We offer Lexus key replacement for the following models: NX, CT, GS, ES, and IS. We are proud to say that we also offer FOB programming depending on the car model that you have. You can give us a call if you want to inquire about our auto locksmith services. We will be more than happy to provide the information that you need. The brand is considered to be a luxury car. This means that it can be comfortable to ride especially for long distances. A luxury car rides like a dream and you will surely know and feel the difference the moment that you are inside the vehicle. Even a dream, this luxury car has its issues too the moment that you lose your car keys. When you lose your car keys , you can just give us a call. We will be more than happy to provide the Lexus key replacement that you are searching for. If you want to get a certain service from us, contact us. We will be more than happy to provide the assistance and the information that you are searching for. It is convenient to call a locksmith to get a lexus key replacement for your vehicle to have in emergency. The trouble with this is not everyone does this. Most people will wait for the time when they have already lost their fobs before they contact a locksmith. Our locksmiths also work as mobile locksmiths. This means that they have a truck that will have all of the needed tools for your Lexus car key replacement. We can meet you at your current location, and give you the assistance that you need. The faster that you can get out of the place, the better you will feel. We can assure you that the process we follow is easy. We make sure to provide the Lexus car key replacement in a short amount of time. Just imagine how ideal this is going to be, right? At the most, you have to wait for an hour especially if you still need programming. The moment that you give us a call, give your location, and provide details about your vehicle our locksmiths will be on their way. One of our main goals is to make you 100% satisfied with the work that we have provided for you. We have friendly and highly-skilled locksmiths that will put you at ease the moment they get to work. They will do their best to give you the Lexus key replacement that you want to have soon. The faster that you get your replacement, the better. The last thing that we want to do is to bring the wrong tools in order to make the Lexus car key replacement or to do the Lexus FOB programming. We will appreciate it a lot if you would provide us with accurate details regarding the the model of your Lexus and the year. The correct information will truly improve the service we can provide. Take note that we will require you to show some documents that will serve as proof that you own the car We need your Vehicle Identification Number or VIN. Any additional documents that will show car ownership will be greatly appreciated. 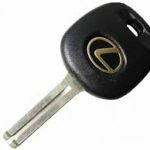 Locksmith or Lexus Dealer for your key replaced? You may be feeling confused if you should contact us for your locksmith needs or if you should go to a dealer instead. It will be your decision. A car dealer is considered “safer” by some people. Yet, there are some dealers who do not have access to the codes. This means that if you need Lexus FOB programming, it will take some time before this process can take place. A locksmith can provide the services you require in a much faster time. When you contact the dealer, you will be informed that you need to bring your whole vehicle to the dealer. This is hard to do since you cannot drive your vehicle. You need to hire a tow truck to provide the required services. 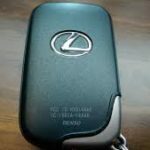 With a locksmith, you will get the Lexus key replacement that you need. We can also double check if everything is working well. There are moments when the ignition of your Lexus may be starting to show signs of issues and problems. We have additional services that will further improve some aspects of your car. What a lot of people do not have right now is time. The world is so demanding that people’s every waking hour is spent doing something that they do not particularly enjoy. Our Lexus car key replacement will take about 10 minutes to half an hour. This is ideal for those who have regular car fobs for classic models. It will take another 10 minutes to half an hour if you need. We will provide you a timeline the moment that we see the status of your car lock. Just give us a call and we will be more than happy to provide the services you need. Bobcat Locksmith also makes the following makes and modelsAcura key replacement, Audi key replacement, Buick key replacement, Cadillac key replacement, Chevrolet key replacement, Chrysler key replacement, Dodge key replacement, Ford key replacement, GMC key replacement, Honda key replacement, Hummer key replacement, Hyundai key replacement, Infiniti key replacement, Isuzu key replacement, Jeep key replacement, Kia key replacement, Lexus key replacement, Lincoln key replacement, Mazda key replacement, Mercedes key replacement, Mini Cooper key replacement, Smart fortwo key replacement, Mercury key replacement, Mitsubishi key replacement, Nissan key replacement, Pontiac key replacement, Saab key replacement, Saturn key replacement, Subaru key replacement, Suzuki key replacement, Toyota key replacement.